Last year at this time I came across a wonderful website from Australia called the Monday Morning Cooking Club. They have a lot of great recipes on their website and have also published a cookbook, The Feast Goes On, available through Amazon. One of their signature recipes is this delicious Glazed Honey Chiffon Cake. 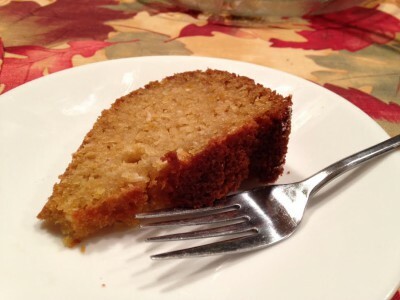 It’s lighter than the usual Rosh Hashanah honey cake because it uses tea instead of coffee as the liquid and calls for whipping the egg whites. The club ladies gave me permission to use the recipe (I adapted it slightly to meet American standards and terms) and this photo of Natanya, one of their members. Preheat oven to 350 degrees. You will need an angel cake (tube) pan that is not non-stick and has a removable base. Do not grease it. Whisk the egg whites until soft peaks form. Slowly add half the sugar and continue whisking until the egg whites are stiff but not dry. In a separate bowl, beat the yolks and the remaining sugar until light and pale. Add the oil and keep beating for a couple of minutes until well combined. Sift the flour with the baking powder, baking soda and salt. Mix the honey into the hot tea. Add these to the egg yolks, alternating wet and dry, beating gently until fully combined. Gently fold the egg whites into the flour mixture with a metal spoon, until just mixed through. Pour the mixture into the cake pan and bake for 50 minutes, then reduce the temperature to 320 degrees and bake for an additional 10 minutes or until a skewer inserted into the cake comes out clean. When completely cool, run a knife around the outside of the cake and the funnel. 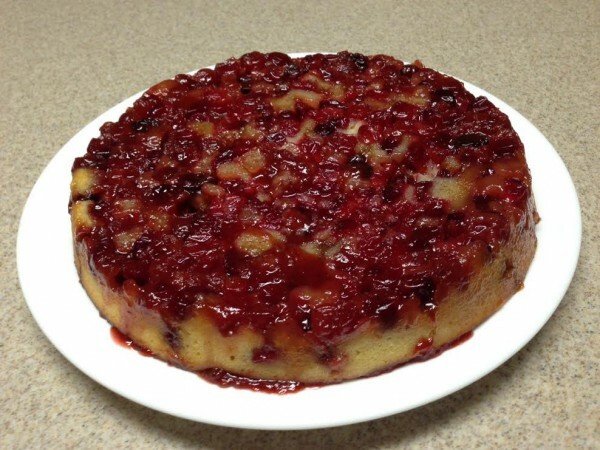 Lift the base out of the pan, then use the knife to ease the cake off the base. To make the glaze, add the lemon juice (a few drops at a time) to the confectioners’ sugar until you have a thick, smooth paste. Pour over the cooled cake. 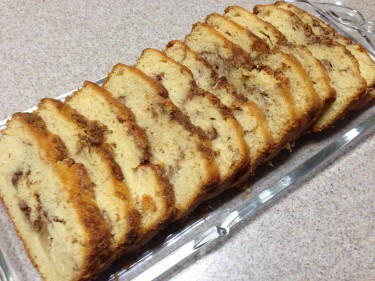 Here’s a very nice cake recipe from Annabel Cohen that was recently printed in the Detroit Jewish News. I was hosting a brunch and had some aging coconut in my pantry, so this seemed an ideal choice. The cake has a lot of flavor but is not-too-coconutty and not-too-citrusy. It has a fairly dense and moist texture. I made it without the glaze and it wasn’t too sweet. It would be very nice for brunch or dessert. There’s no milk or butter involved so if you’re kosher you can serve it with a meat meal. Preheat oven to 350 degrees. Spray a large tube of bundt pan with nonstick cooking spray. Combine flour, sugar, coconut, baking powder, baking soda and salt in a bowl and whisk well. Set aside. In a separate bowl, combine coconut milk, oil, eggs, lemon extract, orange juice and zests, and mix well with an electric mixer. Add the flour mixture to the bowl and mix until incorporated. Transfer the batter to the prepared pan. Bake 40 to 50 minutes or until a toothpick inserted in the center comes out clean. Let cool completely before removing from pan. Make glace by whisking together confectioner’s sugar and orange juice. Pour over cooled cake.